This talk will discuss what amounts to an actionable communication of copyright works to the public. Recent rulings of the Court of Justice of the European Union uphold that infringement takes place not only where an unauthorised communication reaches the public but also where a communication is addressed to a «new public», i.e. a public that copyright holders had not taken into account when authorising the initial communication of the work. This newly developed doctrine does not refer to a public or a private circle in a copyright sense, but develops a sui generis legal fiction that fundamentally changes the communication right; it both restricts and expands its scope in ways that were not foreseen when the right was first introduced in international law, European copyright and the national laws of Member States. In its unnecessary complexity and complicated logic that challenges the credibility of copyright, the concept of the “new public” indicates that the extremely broad scope of the communication right is unworkable and counterproductive, and invites a principle-based approach in examinations of infringement. 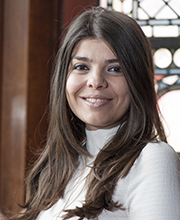 Stavroula Karapapa is Associate Professor of Intellectual Property Law at the University of Reading School of Law and the co-Director of the Centre for Commercial Law and Financial Regulation at the University of Reading.